If you’ve been following me for some time, you know that I’m a big proponent of sprinting! I love it because it requires shoes and about 100 meters of empty space. That’s it! It’s fast and super effective for fat burning! I feel them them all over my body and especially in my ABS the next day. Crazy, right?! I ran sprints in high school track so that’s probably another reason that I tend to feel comfortable with them, but it’s not been until the past 18 months that I’ve re-incorporated them into my routine and I know they played a big part in my body change! I understand that sprinting can be a little intimidating to some of you so I wanted to give you some very easy ways to incorporate it into your routine. FIRST off, ALWAYS warm your body up before hand! You don’t want to just go hard with a cold body! Jog a little bit and do some stretching! Second, time spent sprinting can be anywhere from 10-30 seconds, but I don’t recommend much longer than that unless you are a seasoned runner. Third, you need to “recover” after the sprint. You can walk or jog depending on your preference. (I almost always walk with the exception of the light pole runs below) The stronger your heart gets, the quicker you’ll recover but take the time you need. 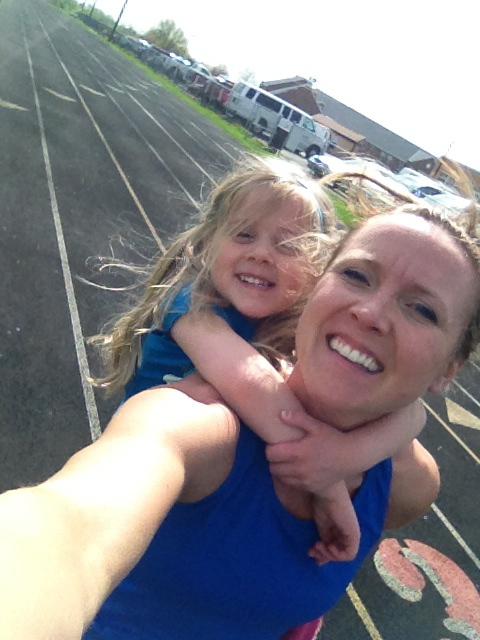 Here are some of my favorite ways to sprint! Go to a side street and jog to the first light pole, then sprint to the next and repeat. When you run out of room turn around and do it back! Bump up the speed and go for it! I prefer to keep the treadmill running at the high speed and just step off the side of the treadmill (like this) to recover, then I get back on when I’m ready again. Saves the time of slowing down and speeding up! Hill sprints are another awesome way to switch things up! I do it both on paved roads or on grassy hills! Sprint up, then jog or walk back down and repeat. I love the track especially for early mornings when I need a safe, well lit place to run. There are a lot of options here! 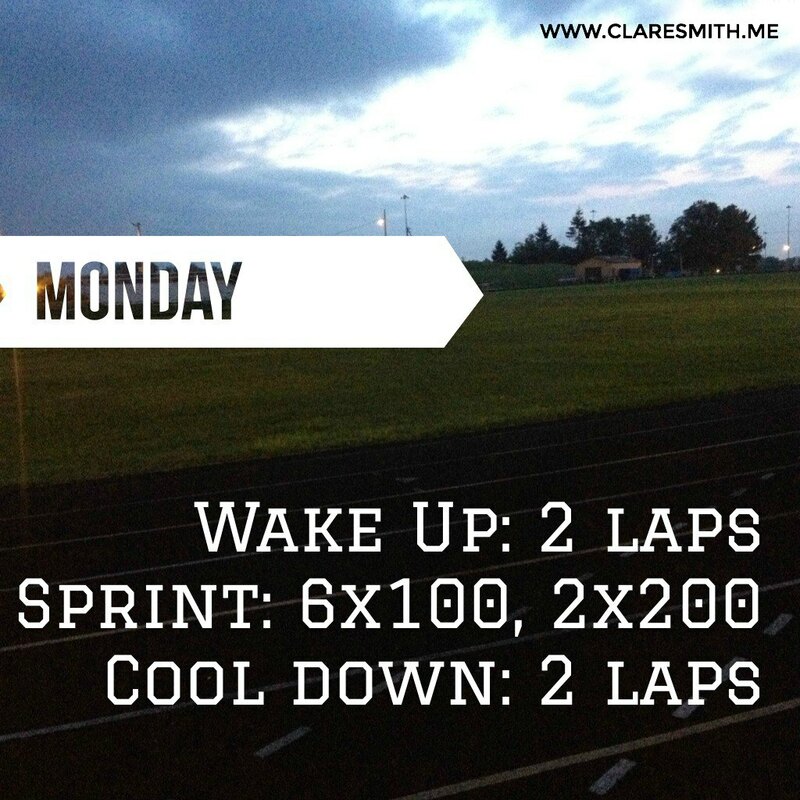 Here is a sample track workout that I did Monday morning! I’m sure you can do this with a regular bike, but I do these on stationary/recumbent ones in the gym when I want to do something other than the elliptical and want to cross train. Start out where it’s easier and interval through 15-20 sec of “sprinting” and 15-30 sec of recovery. Halfway through, amp up the resistance! Now I know your next question–when and how often do I add them in? Great question! I like to add them for my “cardio” on my strength training days. Others of you may enjoy them on your cardio only days (if you have them) or maybe tack them onto a 30 minute run or elliptical session. 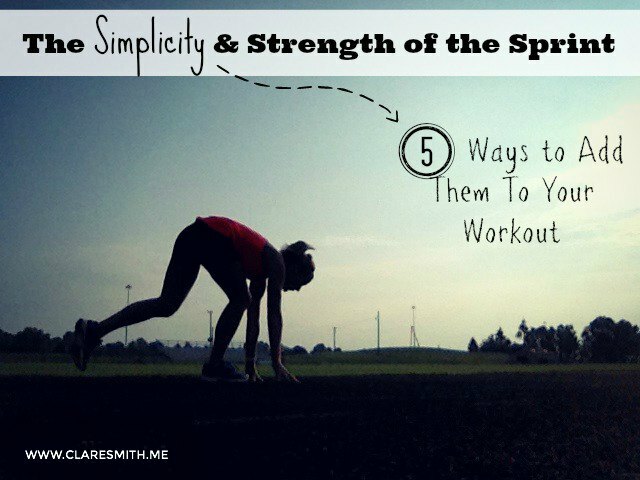 You can totally be effective with a mere 10-20 minutes of sprints. I wouldn’t recommend doing them much longer because of the intensity of them. (You shouldn’t WANT to do them much longer either!) Sprints work well on days you may need to split up your exercise routine! I leave you with this thought. You really can’t mess up sprints! So if you can only get them in one day a week for 10 minutes. Great. If you love 100’s but hate hill sprints, fine! I just want you to go FULL SPEED each time that you do them! Make them count, even if it means you can’t do as many! Play around with them in your routine and have fun with it! I like them because they make me feel young(er) again! I mean, granted, my heart is pumping and my muscles are spent, but the feeling afterwards is fantastic and you will love the results! Do I have any sprinters out there?! I did that this summer with the kiddos a few times. It works great! I’ve done hill sprints too and when I run on my treadmill I sprint some to break up the hamster on a wheel feeling. I have recently started sprinting and I love it! I am a crossfitter but have added in a couple of sprinting sessions a week and can already tell a huge difference in my body! I think I will try some sprints! I love sprints! While they are one heck of a kick in the tail, I love the results of sprints. 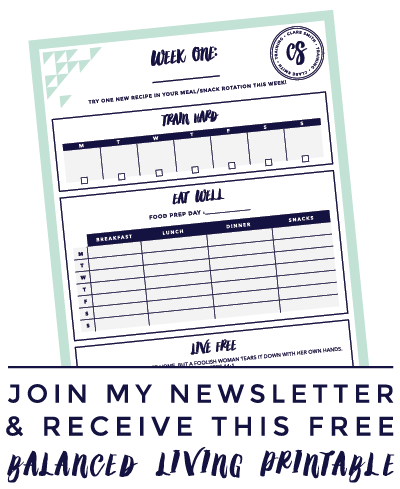 They made a noticeable difference when my hubs and I added them to our exercise last year. I was able to run longer and harder! We’ve slacked off, but have been working out again early each morning for almost a month now. We’ll definitely have to find a good hill to do sprints! That would be a fun addition! I love this post! I am not able to sprint right now since I am 6 months pregnant but I can’t wait to start after the baby gets here! You were NOT kidding when you said Ab workout. I have done Ab exercises until I am blue in the face and 15 minutes of sprinting ( warm up for 2 minutes and then 20 second Sprints) totally made my abs sore in a feels so good way. Thank you. 🙂 going to do this weekly for sure! I’ve been working on getting myself ready for a 5K this fall so I went through the c25k program. Then I started going through it again but working on my speed. So instead of walking/jogging I did jogging/sprinting (or faster running). That worked for a while but I think I was burnt out on using that same app and same intervals that I had just spent 9 weeks going through so I’ve switched it up after reading this post. This week I’ve done two sprinting workouts and I love it so far. Today I did 30 second sprints on the treadmill at 7mph (which is a sprint for me right now at my level of conditioning) and in between sprints, I did a strength exercise (squats with a curl bar, lateral raises, tricep extensions, plank, bicep curls and a full body squat/curl/shoulder press). I went through the circuit twice so I ended up doing 10 sprints (5 minutes of total sprinting) and each strength exercise twice. It felt good and I’m still sore from my sprints two days ago. I think I’m going to plan on doing this twice a week and my endurance runs three times a week. I’m really ready to get rid of some of this flab on my stomach from my two kids (youngest is 2 1/2 so I’ve been carrying it around for quite some time) and slim down. I’ve lost 25 pounds over a year and a half and I’m ready to speed that weight loss up! Thanks for your posts! They are always so helpful! I started sprints last week on the treadmill and it was a great way to get out of the ho hum of a running routine. I actually look forward to the challenge now! I run hills outside last night and noticed a difference in my speed, too. Thanks for the suggestion, Clare! How can I incorporate sprints in my home without a treadmill? Any not much space. This paragraph is in fact a nice one it assists new the web people, who are wishing for blogging. Otherwise, love is meant to be enjoyed to the fullest. major event that called into question your whole sense of masculinity. You are the parent, and you understand what exactly is right for them.